Anyone can be "in fashion", but style is personal. There are no trends to follow. There are no rules. Style comes from within. But you have to be confident with who you are on the inside before you can be comfortable presenting yourself to the outside world. And how you present yourself to the world is important. Every time you dress you assert some aspect of yourself and your identity. With style, you tell the world who you are and it allows you the chance to showcase a facet of yourself in a unique way. You might say they are just clothes, shoes and bags, but I believe that they play a large part of a woman's character. And more importantly clothes affect how we feel about ourselves throughout the day, week or year. Alot of Women I meet are stuck in typical life cycles of shopping, whether that be fast shopping based on getting good deals in the sales, impulse buying and buying clothes based on other people's opinion of them, buying the same items on repeat, sometimes without even realising it or just can't bear to buy anything new and are wearing friends and families hand-me downs. None of these shopping scenarios are conclusive to feeling great in what we wear. When it comes to personal style, it's all about you. Making simple changes in your wardrobe can create huge shifts in how you feel about yourself and how you come across to the world. The right style brings out the best in every woman, at every age, in every situation. When it comes to having great style, knowing what colours, silhouettes and pieces you love and how they all fit together, is only part of the equation. The other part is having the confidence to actually wear those things. 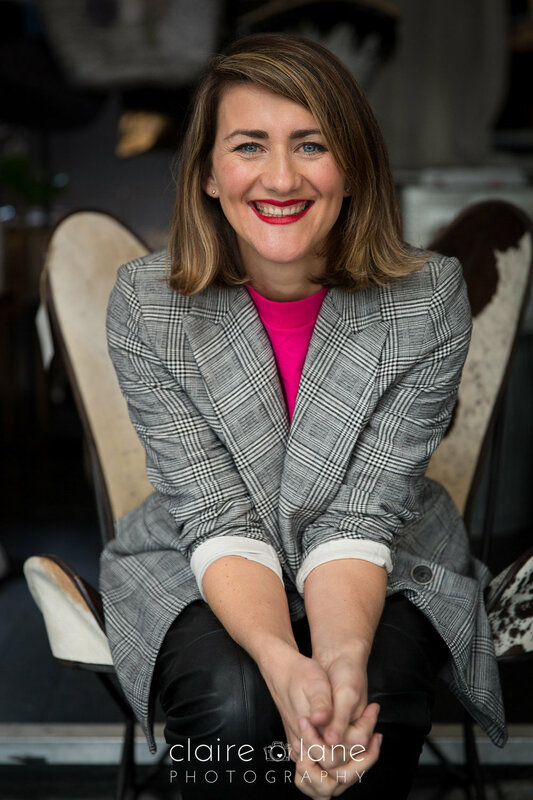 These days, I find myself thinking more and more about topics related to confidence, fashion ideals and body image, because judging from countless consultations it's a hugely important part of your style journey. You need confidence to be creative, express your personal style and have fun with fashion. As an image consultant and personal stylist, I believe there is a way to boost your self-confidence through your style. I am passionate about women and passionate about what I do, but I also know how difficult it is to feel confident and to love ourselves in a society that constantly tells us we are not enough. 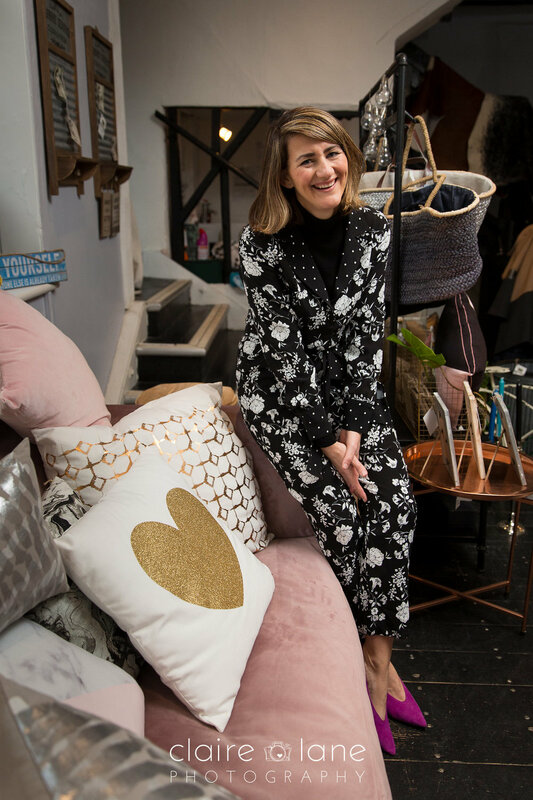 I help you find confidence in your individuality, help you discover your personal style through inspiration whilst staying true to yourself. I truly believe that your personal style is more than just a way to get dressed, it’s about celebrating your creativity, self-expression as well as figuring out what makes you feel confident and inspired every day in life and work, as clothing becomes part of your life currency. Your wardrobe should only contain amazing choices - pick out the key items and get rid of the rest of them. Be inspired by five remarkable pieces rather than twenty unremarkable pieces. Be ruthless when you edit - if it doesn't look good on you, it shouldn't be in your wardrobe. If you are a size 12, do not buy a size 10 because you have told yourself you are going to loose weight. It is better to buy the realistic size and enjoy the way the clothes make you feel at that moment. Paying £50 for a pair of jeans that cost £200 is a great deal. But if you are never going to wear those jeans, you don't need them, or really even like them, then that's a very expensive deal! Wear what suits you and what makes you feel comfortable and confident. Not what everyone else is wearing, not what the magazines and newspapers say you should wear, learn about your body shape and listen to your inner voice of reason. Buy what is truly fantastic! That leopard print coat, the knock-them-dead dress, the metallic pleated skirt or the statement earrings. Yes people will comment on what you are wearing, but you know you look good in it and everyone else knows that too. If you need help with any aspect of your style, wardrobe and confidence then contact me for an consultation. I am passionate about helping women grow their confidence in their appearance by helping them understand the colours and styles of clothing that flatter them and make them look "wow"! Getting this right can really change not only how you look but also how you feel! I look forward to you getting in touch soon. Wearing denim everyday is a hard habit to break and one that alot of clients ask me about. We default to dark blue denim most days and why not, it's comfortable and you know how to wear them right? What if there was an alternative trouser that you can wear outside the comfort of your home and doesn't involve any fitness activity! Because there is another way. Instead of going through your day in a pair of uncomfortable skinny jeans, with the waistband squeezing against your stomach left, right and centre, you can now look to many different and comfy trousers instead. From paper-bag waists, to pyjama style, peg trousers and everything in-between, momentum is really gathering for the non-jeans trend. So now is a great time to try it. 1. The side stripe trouser - If you were a fan of last year’s comfortable 'athleisure' trend then rejoice, because the side stripe trouser is still big business for SS17. This year, the style set is channelling 'athluxury', teaming casual, sporty pieces with more luxe offerings for an elevated look, meaning the striped track pant is now the easiest way to fool the world into thinking you’re all dressed up. 2. Paper bag waist - A high-waisted cut with gathered detailing at the waist, there’s a bit of added drama to this style, with a choice of wide-leg or tapered designs depending on your go-to look. The key is to team with a tight tee or body – no baggy tops or knits – for a leg-accentuating, day-to-day outfit. This trouser silhouette looks effortless and is flattering, especially when paired with platform heels and a simple knit, making it a perfect workwear option. 3. Khaki chinos - Khaki trousers might have frumpy connotations, but they have been given a makeover for S/S17, and according to the likes of Vogue, they are about to replace your skinny jeans as your everyday staple. A bold claim, yes, but given they were featured in many of the major S/S17 runway shows they have a new femininity about them - think drapey fabrics, layered pockets and the wide hem's. Pair them with crisp clean shirts, jumpers tucked in and heel's and it gives them a fresh new look. Face your non denim fear because sometimes you gotta branch out. Because if you don’t, you might never discover a new favourite pair of trousers that will become your wardrobe staple this Summer. I received a lovely testimonial the other day from a fella that I recently helped sort out his wardrobe and upgrade his style. No he wasn't drunk, but yes his wife had coerced him into it by buying the overhaul for him for his birthday present. We all know men are hard enough to buy for so why not get them something you want for him instead, it's a win win situation! I could tell he was slightly unconvinced at first but once the new pieces started arriving from his online shop, he swiftly changed tack and realised that having someone else do the hardwork for you was easy. Men’s style has changed dramatically over the past few years. It used to be very rare for a man to have any concern at all for his personal style but today more attention is paid to it and along with that more choice is in the shops to meet that demand. However, a large number of men find shopping tiring and confusing, largely due to the huge amount of choice and new style expectations. As a result, many guys fall into the gap of choosing the same ‘safe’ items falling into a rut, lacking inspiration. Finding out what the right cuts, colour and styles are that suit you individually, will make a huge difference to the way you look and feel resulting in a more confident, successful you in both personal and professional environments. Read Steve's testimonial below and next time you wonder what to get your husband, I will be happy to help! I would thoroughly recommend getting Nina to advise on Men's clothing! It's not a typical bloke thing to do, but not having a clue about which clothes to wear and having a wardrobe default option of Fat Face and Superdry, it was time for action. My Wife arranged for Nina to come over (that's the way to do it as you can then tell your friends in the pub that it was arranged for you as a surprise) for a wardrobe detox!! Nina was brilliant and quickly got me at ease with looking at different clothing options! She ran through some different styles, educated me in the world of clothing and went through various pictures to see what I liked. She then looked through the clothes I had accumulated since university and advised which were keepers! Her helpful approach on the day, was quickly followed up with a Online shop Lookbook (I now know the terms! ), which is basically a book full of clothes which work, different brands and price ranges and a link to buy them - that's the type of shopping I like, someone picks the clothes and all I have to do is click a link and pay - easy! 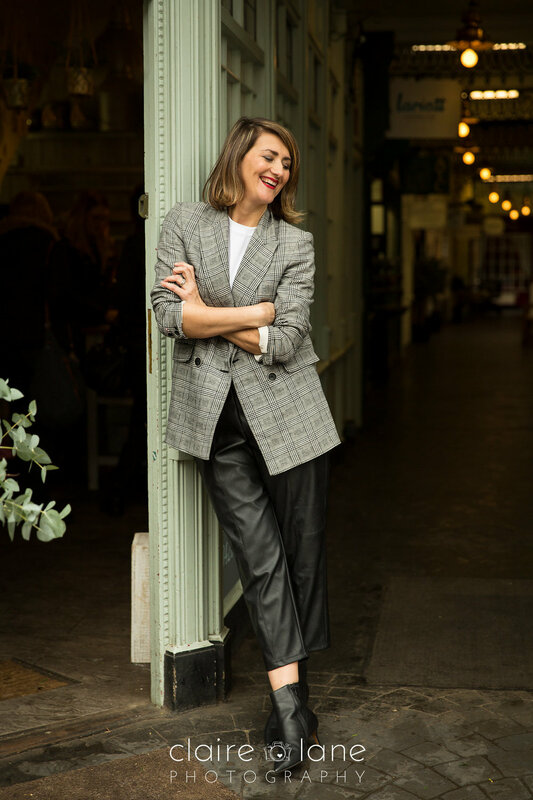 I would highly recommend that all Men go for it - give Nina's wardrobe detox a try! Check out my men's services on the drop down menu. Getting stuck in a rut happens to everyone. Especially at the start of a new season, you start to get bored with what you are wearing and don't know how to change your shopping habits. If you have ever felt nothing but intense boredom at the sight of your wardrobe and wished you could just throw it all out and start from scratch, you know what it feels like to be stuck in a style rut. A most miserable place where clothes you once loved and felt inspired by, now just seem dull and underwhelming. The key to getting out of a style rut is to break through old thinking patterns and the comfortable, monotonous routine you have built up for yourself, put on your creative hat and immerse yourself in new inspiration. The best way to get out of a rut is to get some outside help. Most people only wear about 10% of the clothes in their wardrobe, so it is easier for somebody else to see the gems in your wardrobe than you can. I'll go to a client's house who has said "I have nothing to wear" and after I spend a couple of hours editing her wardrobe and putting new looks together she realises that she has a lot of great outfits waiting to be worn.
" I have to admit I had reservations about the wardrobe detox and styling session my husband had brought for me for my birthday present. I thought my wardrobe didn't need editing because I don't own alot of clothes but it turns out I was wrong! Having Nina give a fresh eye is pretty revealing; for starters I had no idea I owned so many pairs of jeans (18! ), but rarely wear more than 3 pairs of them. I also discovered I am seriously lacking in items that make up outfits together and Nina was really helpful with her styling tips on how to utilise what I have in my wardrobe and what I need to fill the gaps. It was such a thrilling and enjoyable process, and much less exhausting and over whelming when you are not the one pulling everything out. I loved Nina's easy technique, as I sat on my bed answering questions such as, "Do you wear it?" and "Do you love it?" at no point did I feel under pressure to ditch anything or embarrassed by some shopping mistakes. Afterwards I felt exhilarated, buzzing and confident about my clothes and what choices I wanted to make when shopping in the future based on Nina's appraisal of my wardrobe. The follow up email with Nina's edit of item updates and wardrobe gaps is a great starting point for my shopping trip and will ensure that I make better-informed purchases rather than panic buys. I have recommended Nina's service to all my friends and can't wait for them look and feel better about themselves too." 1. Assess one part of your wardrobe - such as your jeans - spend some time trying them on, looking in the mirror and asking yourself some questions, such as; "When did I last wear these? ", "Are they flattering for my figure?" or "Do I feel good in them?". You might find a pair that you had forgotten you had and you can incorporate back into your wardrobe again. 2. Take a style risk - do you need a new pair of trainers or bag or scarf and feel bored of the same things you normally buy? Then take more of a risk with your accessories purchase, perhaps buy the brightly coloured trainers over the blue ones, or a bright yellow bag instead of a black one, or even a over-sized leopard print scarf instead of a grey one. Just by adding one thing different it can rejuvenate your look and make you feel more confident. 3. Try shopping in a new store - Go in and walk around, or go online and take a browse. Perhaps is somewhere you've not shopped in years or somewhere some recommended, you might be surprised what you like and how the style could influence your outfits and looks. 4. Give yourself a pep talk - You need to be prepared to feel differently when you’re coming out of a rut. When you try on something that’s out of your comfort zone, you may feel nervous, or excited! This is the time to pause and have a conversation with yourself. What’s stopping you from wearing this new style, colour or accessory? Maybe this new look is the real you; the part of you that’s wanted to be expressed for a while. Give yourself a chance. Don’t put the brakes on. Experiment and have fun. 5. Find someone to help - I’d love to help support you in finding ways to get out of your rut.